which are susceptible to the damaging effects of surges. If you’re like most homeowners you’ve got a house full of computers, high-definition TVs, and console systems: thousands of dollars of electrical equipment that is vulnerable to power surges. A hard wired, whole home surge protector is the best way to protect these devices. Power surges happen within milliseconds. Many people think they’re caused by bad weather, but that’s not the case. Just as many power surges are caused by appliances cycling on and off inside of your home. In fact, power surges you’re not even aware of happen throughout your home all day long. And all day long, they’re making their mark on your sensitive electronics, wearing down circuits and reducing their lifespan. It’s not always one big power surge that brings them down! Sometimes, it’s more of an electrical war of attrition that kills them before their time. How much do you stand to lose by failing to account for these power spikes? The average insurance claim for power surges is about $4329, but you should think about more than the hardware. It’s likely you also have sensitive data stored on some of these appliances that will be difficult to replace or retrieve should a problem arise. A power surge is an electrical disturbance that travels through your home’s power and cable lines. This has the real potential to damage the electronics and appliances in your home. The surge protectors we install provide a $50,000 to $75,000 replacement guarantee for all of the appliances in your home (including your AC). 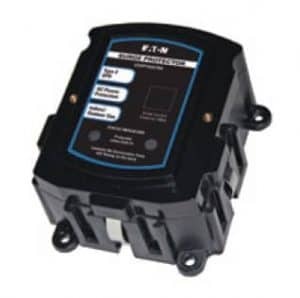 If our top-of-the-line surge protective device (SPD) doesn’t do the job and you lose one of your appliances or electronics to a power surge then we’ll replace it. You won’t even have to go through the hassle of dealing with the insurance companies. Our SPDs can defend your electronics from up to 40,000 amps of excess current. Need a basis for comparison? Normal household power runs at 200 to 300 amps, which means our SPDs are ready to get to work in the event of a lightning strike or damaged power line, too. The SPD simply takes the excess current and grounds it safely, which means that your electronics will last as long as they’re meant to. The result? You save money and you avoid aggravation. Ready to protect your electronics? Call us today at (919) 236-7167 so you can begin enjoying the benefits of whole house surge protection right away.